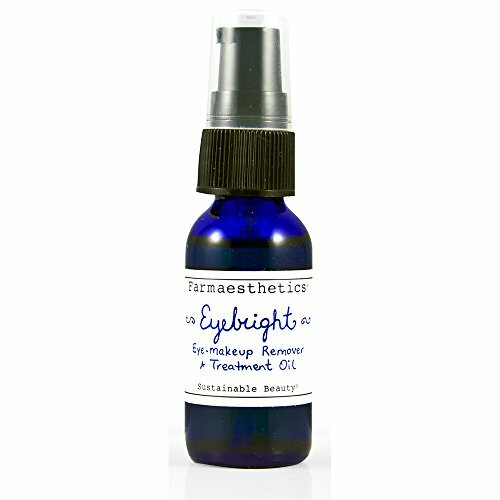 Farmaesthetics Eyebright Eye-Makeup Remover & Treatment Oil "Cleans up the Competition". This product is 3 treatments in 1: A synthetic-free eye makeup remover to (1) softens fine lines; (2) reduce puffiness, bags and wrinkles; and (3) to soothe redness and eyestrain. The Eyebright herb is known to relieve eyestrain and redness due to fatigue from over-use, environmental irritants or allergies. As the nerves in the eyes relax, there is less strain, therefore less squinting and less rubbing. By combining Eyebright with the soothing properties of Grape seed, Orange Wax and Chamomile in simple Sweet Almond Oil, one is applying a traditional remedy to an age-old complaint while removing eye makeup to boot!